This live program will be held in-person in Nashville, TN. This 6 hour program is $110 and a discount is offered for preceptors and alumni of Lipscomb University College of Pharmacy and Health Sciences. Please register for the event through Lipscomb University College of Pharmacy and Health Sciences. Please click here to register. For more information please contact Ms. Kathyrne Channell (kathryne.channell@lipscomb.edu). Brief Bio : Dr. Gross is Director of Residency Programs and Associate Professor, Department of Pharmacy Practice, Lipscomb University College of Pharmacy and Health Sciences. He graduated with a Doctor of Pharmacy degree from the University of Tennessee Health Science Center in 2006. Upon graduation, he completed a specialty residency in ambulatory care with the University of Tennessee College of Pharmacy and Holston Medical Group in Kingsport, TN. Dr. Gross was assistant professor at the University of Tennessee College of Pharmacy before taking on his current position at Lipscomb University College of Pharmacy and Health Sciences. Dr. Gross has been active in the field of primary care for 11 years. His teaching, research, and patient care activities focus on chronic disease management with emphasis in diabetes and cardiovascular risk reduction. His areas of research include diabetes, dyslipidemia, and transitions of care. Dr. Gross was a sub-investigator on the ACCORD study. He has served as director of clinical pharmacy services for a large private practice group which involved the implementation of clinical pharmacy services in a Level 3 accredited PCMH. Dr. Gross currently serves as director of a PGY-2 Ambulatory Care and PGY-1 Community Pharmacy Practice residency. Discuss and identify the clinical indications for new FDA approved drugs for 2017. Recall and list the mechanisms of action and potential contraindications for each new medication. List common adverse reactions associated with discussed medications. Describe significant drug interactions for the reviewed medications. Explain and outline clinically significant counseling points for each medication. 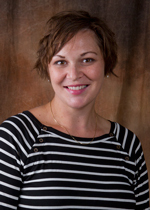 Brief Bio : Falconer received her Bachelor of Science degree in Biochemistry in 2005 from Rockford College (now Rockford University), then pursued a Masters in Public Health with a certificate in Disaster Management from Benedictine University. She earned her Doctor of Pharmacy degree from Lipscomb University College of Pharmacy in 2012, and then completed a post-graduate residency focused in Oncology Health Outcomes through a partnership between Lipscomb and Sanofi Oncology. Her residency research projects included a statewide examination of metastatic colorectal cancer care regimens in Florida, a pharmacoeconomics comparison of chemomobilization regimens used prior to bone marrow transplantation for patients in West Virginia, and an investigation of adherence to quality initiatives for lung cancer patients at a community cancer center. Falconer looks forward to teaching in the pharmacy practice department and cultivating knowledge and ideas regarding oncology and hematology alongside students at Lipscomb University's College of Pharmacy. 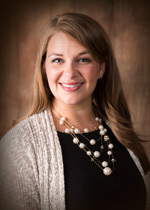 Brief Bio : Parker received her Doctor of Pharmacy degree from the University of Mississippi School of Pharmacy in 2013, where she also did her undergraduate work. She then completed a PGY-1 Community Pharmacy Residency, followed by a PGY-2 Ambulatory Care Residency, through Lipscomb University College of Pharmacy, working in conjunction with the Vanderbilt University School of Nursing at the Clinic at Mercury Courts, which works to provide care to indigent populations in Nashville. She serves in the Drug Information Center for the College and coordinates the Drug Literature Evaluation and Biostatistics and Seminar I and II courses. Currently, Parker works at Vanderbilt University Medical Center in a transitions of care clinical trial aimed at reducing polypharmacy in the elderly population. 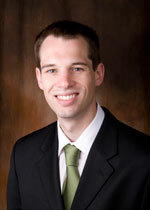 Brief Bio : Dr. Cox attended the University of Tennessee at Chattanooga where he studied pre-pharmacy. He received his Doctor of Pharmacy degree from the University of Tennessee College of Pharmacy in 2008. Since graduation, Dr. Cox has completed a pharmacy practice residency at Vanderbilt University Medical Center focusing on Critical Care and Internal Medicine and holds board certification as a pharmacotherapy specialist (BCPS). Currently, Dr. Cox practices at Vanderbilt University Medical Center on the inpatient Heart Failure specialty team and in Vanderbilt's Program for Inter-professional Learning in a heart failure clinic. His research interests focus on outcomes in heart failure management and the use of inotropic agents in Stage D heart failure. Pharmacotherapy of Heart Failure: What is new?